Your kitchen is the heart of your home, so it should inspire a number of sensations: comfort, elegance, and an appetite. Designing your kitchen to balance all of these can be a challenge, but when you start with granite kitchen countertops in Marietta, you are on your way to a perfectly constructed or revamped kitchen, one that is perfect for cooking, entertaining, serving, dining, and enjoying early mornings alone. For a kitchen that makes a unique statement, consider a design with stunning black countertops. Black is a universally stylish color and maintains a clean appearance, even after hours of cooking. Black granite, specifically, is heavy-duty and has a wonderful luster under natural sunlight or pleasing artificial light. Black can be an off-putting color to many people, though. How do you design around black surfaces without creating a Gothic or unsettling vibe? 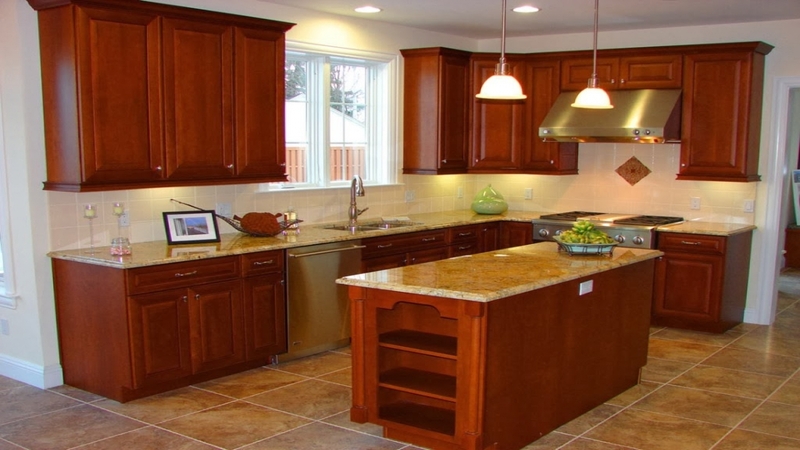 Here are some pointers when renovating or building your elegant home kitchen. Include Stainless Steel Black and metallic colors go together like steak and potatoes, so it is no wonder why stainless steel appliances/fixtures and black countertops pop together. The sleekness and shine of all components will stand out against a black background without the granite getting lost in the scene. If anything, a steel stove and faucet will make the black surfaces look even more brilliant and sophisticated. Play off a Variety of Themes A number of popular design schemes include predominantly black surfaces, including Parisian, industrial, and eco-contemporary. Find out for yourself how well black granite countertops work with ironwork sconces, exposed brick, reclaimed wooden tables, and other masculine details. Not to worry, though, if you would prefer a more neutral or feminine scheme. See the final entry for advice. Install Cabinetry in a Complimentary Color Being an extreme on the color spectrum, black requires balance on the opposite end. A kitchen with nothing but dark colors would feel heavy, small, and uninviting. Introduce black’s opposite with white cabinetry. The balance will be pleasing to the eye and welcoming for you and your guests. White cabinetry is a classic feature of classy kitchens, but one that needs a strong, dark contrast. Whitewashed kitchens can be overly stale and unappealing to some homeowners. Go High-Tech Perhaps because black is a common color for electronics, rooms with black design features invite high-tech and innovative components. Built-in televisions, wall-mount speaker systems, fridges with Wi-Fi access, and more will fit in perfectly with black features. The smart and sophisticated personality black adds to rooms will bring expectations of high-tech electronics along with it. Accessorize with Colorful Pieces Black is a clean and sleek color, so you should be mindful of how you accessorize a kitchen with granite kitchen countertops in Marietta. Diversify the solid surfaces of the cabinetry and counters with textured and patterned decor and a few well-placed and well-maintained plants, as well as modern or contemporary art with eye-popping patterns. You can add brightly colored objects, metallic features, feminine details to contrast with black’s masculine character, or whatever else suits your personal style. With black granite, the results will always be elegant, comfortable, and inviting.